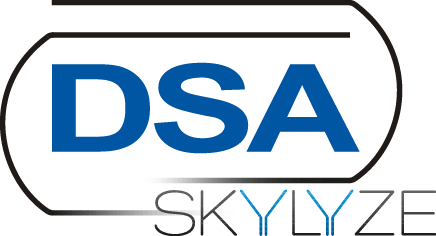 SKYLYZE is a Business Unit of DSA Daten- und Systemtechnik GmbH. At our offices in Koblenz/Rhine we develop Skylyze as the DSA Competence Center for Data Analytics, Data Visualization and Big Data Technologies. In a creative start-up atmosphere a highly motivated team develops data analytics solutions for our customers of the automotive and other manufacturing industries. Our employees share the passion to deliver quality on time and the endeavor to always be ahead of our competitors. This commitment pays off and our position as technology leader is well-earned and undisputed. Cooperation and team spirit are taken seriously at SKYLYZE. We offer an enjoyable working atmosphere, not least thanks to many nice and open-minded colleagues. We promote your professional and personal development with an individual training program. Being a global organization we offer numerous options to develop your career. We reward your good performance und initiative with a corresponding salary and let you participate in the company’s success. Flexible working hours enable you to fit private appointments into daily routine. Shared activites like our seminar trip, summer bbq and Christmas party are established and popular events. You decided to take up the job in our team? Great! We are happy to welcome you to our team. We are no big corporation but a mid-sized, owner-managed company. It is of great importance for us to keep a family-oriented and trustful atmosphere within the company and a close cooperation throughout groups and departments. Thus we will accompany you and help you to feel comfortable in no time. No matter if you are a student or an experienced professional, we provide lots of opportunities to join our team, e.g. internships, bachelor or master theses and of course permanent positions. Are you interested to join our team? Apply now! Get part of the SKYLYZE Team and send us your application documents including your salary expectation and your desired starting date in German or English. More information about us on https://skylyze.com/en/about-us/career/ .